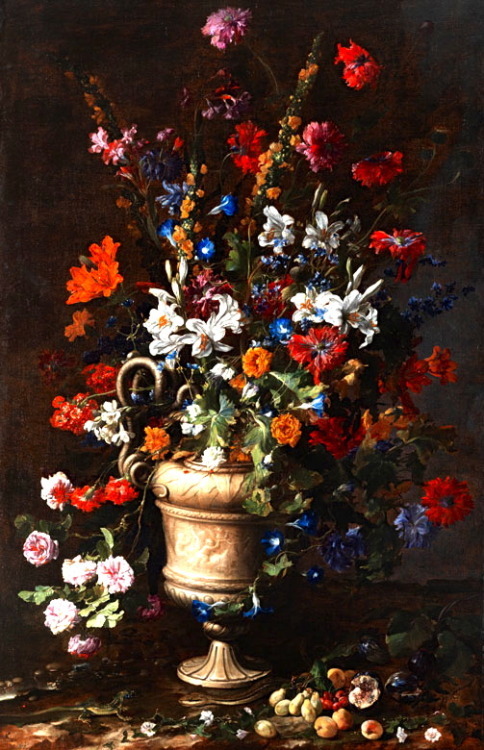 A lot of people from abroad have been searching for the news and articles about the Paolo Porpora painting called Flowers, accidentally damaged by a 12 year old boy a few days ago. People from Europe, the USA and even South America (Argentina, Brazil etc) have searched news about this incident. So I guess that the news is out all over the world. Hence, I decided to write one to tell them what Mark, a Taiwanese illustrator, said about the curator of "The Face of Leonardo, Images of a Genius" exhibition Andrea Rossi, in case they didn’t use Google Translate to read Mark’s blog post. When the accident happened, Andrea Rossi didn't blame the boy for hitting the painting. Instead, he joking told the boy that he was the only Taiwanese person who touched this painting. If the exhibition organiser was only Taiwanese, would the little boy be completely forgiven? What touched my heart is that Andrea Rossi didn't want the media to write about this accident. He was worried that once it became world news, it would be difficult for any museum to consider lending artwork in Taiwan. I was speechless at Andrea Rossi's generosity and forgiveness. This month, our theme for story telling is Greece. 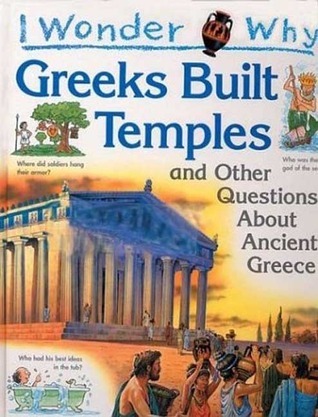 I did some google research and found two books: I Wonder Why Greeks Built Temples: and Other Questions about Ancient Greece and You Wouldn't Want to Be a Greek Athlete! : Races You'd Rather Not Run. Both books are quite similar - they talk about ancient Greek's life, history, geography, art, sport, etc. 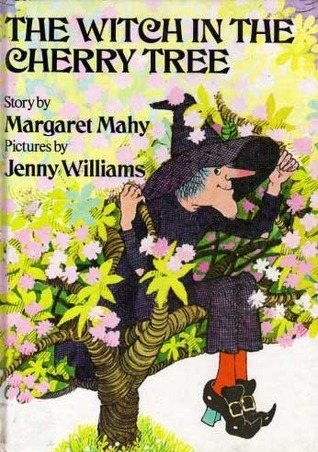 The first book covers more topics, so I shared it with children. Last month we talked about the UK to kids in the library, and we also shared a few picture books written by British writers. One of the books I shared is called Pop-up London. This book is amazing, and I love it! 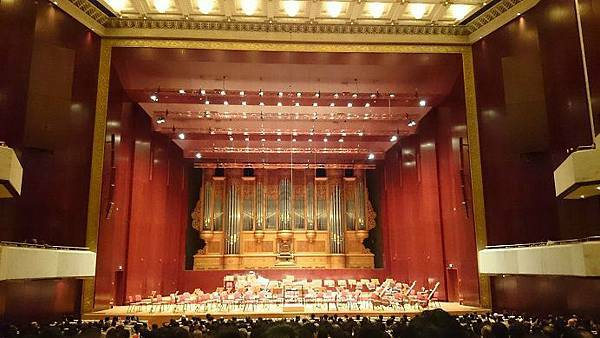 On 14 march, originally, I was expecting to hear Midori Goto playing the violin. However, when we arrived at CKS Memorial Hall, we learned that Midori Goto had to stay in the USA due to her health. In the beginning, I was sort of disappointed to learn that Midori Goto wasn't going to perform in Taiwan this year, but we still wanted to attend the concert. The violinist who substituted Midori Goto was a young violin player called aged Arata Yumi. He's only 22 years old, and he's a winner of several competitions such as Henryk Wieniawski International Young Violinist Competition in Lublin (2006), 1st Guadagnini Competition in Tokyo (2011), etc. 今年3月的時候，我本來滿心期待要來聽著名的日本小提琴家宓多里演奏西貝流士：D小調小提琴協奏曲。不過，當我抵達中正紀念堂時，赫然發現當日宓多里因身體不適而無法來台演出。天哪~ 還挺令我錯愕的。主辦單位已盡最大能力向聽眾致歉，但是還是有些聽眾跑去退票了。既然人都到了，何不聆賞呢? 代打的是日本新秀小提琴家弓新。這算是意外的收穫吧。弓新很年輕，1992年出生的他，現年也才22歲 (足歲; 生日不明)。弓新曾囊括多項大獎，同時也是維尼奧夫斯基小提琴比賽有史以來最年輕得獎者。好吧，就讓我們來拭目以待吧! As some of you might know, the theme of 2015 Taipei International Book Exhibition is New Zealand. Although the exhibition was held last month, I'm going to tell you which story book I shared with kids in the library. Last month I spent some time looking for stories about Israel, as we had to introduce stories related to Israel to kids in the library. It was harder than I imagined, as there were few books about Israel in Taipei Public Library. At the end I finally found one: The Cats on Ben Yehuda Street. 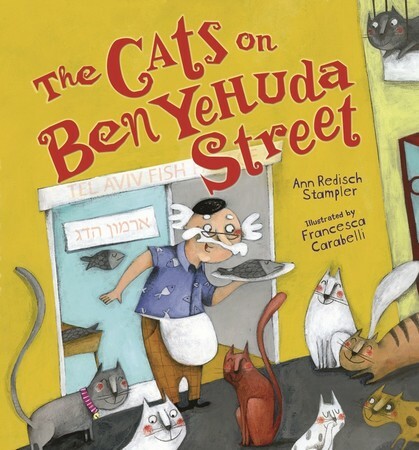 The Cats on Ben Yehuda Street is written by Ann Redisch Stampler, who is an American writer. Some of her picture books won National Jewish Book Awards, like: The Rooster Prince of Breslov, The Wooden Sword, Go Home, Mrs. Beekman! etc. Fortunately, this story - The Cats on Ben Yehuda Street - is very cute and I'm glad to have the chance to tell kids about it. Last Saturday, I went to a concert by a chorus called Formosa Singers. In the first half, they sang work written by British composers. The piano accompanist was on the stage, too, but she didn't play anything until the last two pieces, which were written by John Rutter. The director said that many British songs were written during the Golden Age. Since most British composers were traditional, no one could change their style. (I couldn't remember what the director exactly said.) The songs I heard in the first half were all about God, Jesus, the Virgin Mary. The only exception is that they included John Rutter's music, and the director said that it wasn't until the 20th century, British music had a change. I heard 2 songs from "Birthday Madrigals": "It was a Lover and his Lass" and "Come Live With Me and Be My Love". Last December, one of the volunteers shared two interesting books with children in the library where we served. One of the books is called Walk This World, which is a pop-up book, and the other one is called If You Lived Here: Houses of the World. Both books are educational and entertaining. Luckily, the children who attended this session were aged 8-10, so most of them recognised the cities and were able to tell us where those cities were. We went through New York (the USA), Pisa (Italy), the Middle East (we saw a mosque), Moscow (Russia), Paris (France), Sydney (Australia), London (the United Kingdom), etc.